Finance chief Deepak Ahuja is retiring from Tesla in the coming months. He previously served in the top finance spot from 2008 until he left the firm in 2015; he then rejoined the company two years later. Zach Kirkhorn, vice president of finance, will take over as head of finance. Chief accounting officer Lara Sweet has been appointed interim CFO at Snap, parent company of Snapchat. She succeeds Tim Stone, who is leaving the company on Feb. 5. David Gibbs, president and CFO of restaurant owner Yum Brands, has been promoted to president and chief operating officer. Gibbs will remain finance chief until his successor has been found. Entertainment and real-estate firm Reading International said that CFO and treasurer Devasis Ghose has retired. Gilbert Avanes, vice president, financial planning and analysis, will take over those posts on an interim basis. Digital product engineering firm GlobalLogic named Scott Brubaker to head finance. He most recently was an operating partner and managing director for the credit division of TPG Global. Welty Building announced that former Ohio Lt. Gov. Mary Taylor joined the firm as finance chief, the day after her term ended. Her husband is the president and CEO of the company. 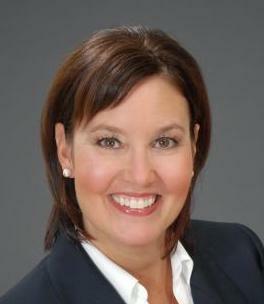 Rebecca Kujawa has been promoted to the top finance spot at NextEra Energy, effective March 1. Kujawa, now vice president, business management, at NextEra Energy Resources, replaces John Ketchum, who has in turn been promoted to president and CEO of that subsidiary. He takes over for Armando Pimentel, who is retiring on March 1. USA Technologies named Glen Goold interim CFO. Goold, who has been a consultant to the firm since October, succeeds Priyanka Singh, who left the post on Jan. 7. Barry Steele has been appointed to head finance at Horizon Global, a towing and trailering equipment manufacturer, effective Feb. 18. He replaces interim CFO Brian Whittman, who will become vice president, finance, through the filing of the firm’s 10-K. Steele most recently was finance chief at Gentherm.